Each month active Million Hoodies members can nominate another member, chapter, or organizing project to acknowledge and celebrate. Chapter of the Year and Organizer of the Year is selected from a pool of monthly nominees that we've honored throughout our organizing year. 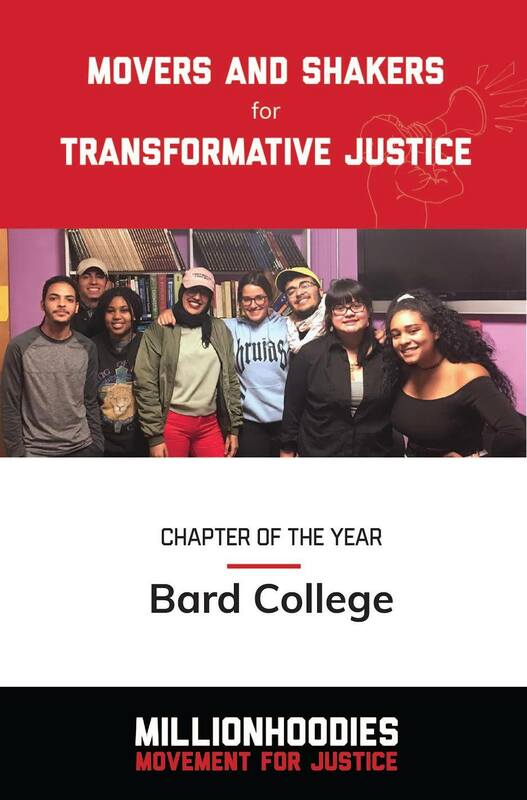 At our National Congress in New York City from July 13-16, we recognized Nhawndie Smith, a leader from our Greensboro chapter as Organizer of the Year and our Bard College chapter as Chapter of the Year! Highlights from Summer 2017: Our Streets, Our Blocks!